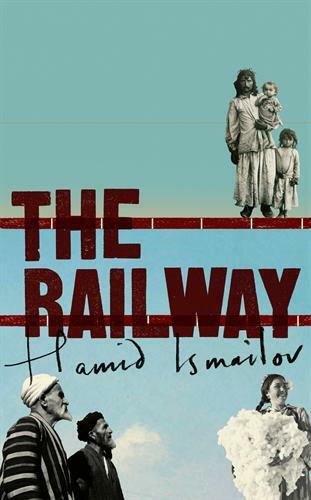 My short review of the Uzbek writer Hamid Ismailov's novel The Railway appeared last weekend in the Sunday Telegraph. Hamid Ismailov's careering, widely peopled, digressive The Railway is, in the writer's own phrase, a "folkloric novel", a book about the history and fate of peoples as much as individual characters. Ismailov's collage of the lives of the Uzbeks, Kazakhs, Jews, Russians, Chechens, and Tatars who inhabit his fictional town of Gilas features an ensemble of some one hundred and fifty characters - bright blots of personality who doggedly persist in airing out their essences, and who both exploit and fall foul of the prevailing Soviet party line, a line "as clear and undeviating as the railway that cut through Gilas". Ismailov's jagged narration, spanning a large swathe of the twentieth century, is held together by certain reappearing characters (such as the one only referred to as "the boy"), the writer's own sly, irreverent comic voice, and the image of the railway, "the iron road". Ismailov's description of the railway - "a never-ending ladder with wooden rungs and iron rails that lay stretched across the earth from horizon to horizon" - evokes both a journey and an ascent. He has a gift for arresting metaphors. When some inhabitants of Gilas are arrested by the Soviet authorities and sent to a distant camp, the prisoners see the railway line with its crossbars through a hole in the floor of the wagon, "and it seemed as if the earth herself had been put behind bars, framed, bound, confined, arrested". The Railway continually shifts between different registers. Its main key is that of a comedy that itself shuttles from the exuberant to the deadpan, from bright wordplay to the jargon of Soviet-speak. Every now and then there comes a chapter or a passage written at the raised pitch of poetry, rich in imagery and sound patterns and repetitions. A character named Oyimcha sits spinning cotton: "In their broad white line sleeves her arms were like fluttering wings and the cotton wool clinging to the slow, slow, slow switches flew high into the air, into the air, like celestial clouds…clouds…." Ismailov's sentences are in fact never far from the realm of the mystical: "Is there another way in the world, or is that just a dream people dream?" Robert Chandler has translated several other writers from the Russian, including Pushkin, Vasily Grossman, and Nikolai Leskov. His tenderly attentive rendering of The Railway perfectly captures the dreamy, circling music of Ismailov's prose. A good interview with Chandler can be found here at the excellent literary website ReadySteadyBook, and a piece by him comparing different translations of Pushkin's Eugene Onegin is here.